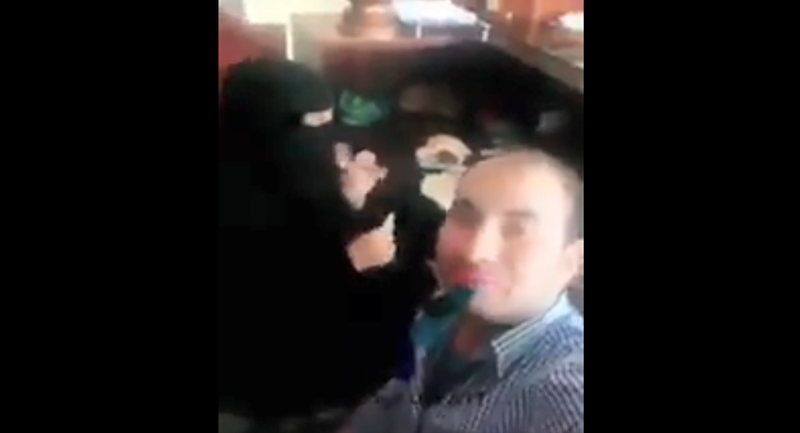 An Egyptian man was arrested in Saudi Arabia on Sunday after posting a video of himself eating breakfast with a female colleague ‒ a violation of Saudi law, which strictly governs interactions between genders. Sunday morning, an Egyptian man identified only as Baha'a posted a video of himself on Twitter eating breakfast with a female colleague at a hotel they both work for in the Saudi port city of Jeddah, Middle East Eye noted. The problem, however, is that this interaction is illegal in Saudi Arabia. In workplaces or eateries like restaurants and cafeterias, families and single men have to sit in different areas, with men and women sitting apart, the BBC noted. "Come have breakfast with us," Baha'a says during the video. Unfortunately, the people who came to his table were Saudi police, who arrested him for posting "an offensive" video on social media, the Saudi Ministry of Labor and Development said. ​The hotel owner was also summoned by the authorities for "for failing to adhere to spatial controls for employing women," a ministry statement said, Al-Araby reported. The Saudi public prosecutor posted on Twitter later that day, saying that foreign workers should "respect Saudi values, traditions, and feelings," MEE reported. After the story went viral on social media under the hashtag "Egyptian having breakfast with a Saudi woman," it provoked mixed responses from Arabs. Some Saudis condemned the clip as incompatible with their culture, while others complained about a double standard, as Saudi princes and tourists in other countries often have meals with the opposite gender, MEE noted. Baha'a's countrymen reacted with a bit more ire, but also with surprise, as many on social media considered the contents of the video innocuous. According to the BBC, TV host Osama Gaweesh asked, "Doesn't [Saudi Crown Prince] Mohammed bin Salman want a new, open Saudi Arabia with concerts and movie theatres and beaches and a 2030 vision?" Salman has ostensibly been driving Saudi Arabia towards greater gender equality, with the infamous ban on women driving cars being lifted earlier this year, but that liberalization was accompanied by a dramatic increase in repression of activists, even the very women's rights activists who were at the forefront of the driving ban repeal, Sputnik reported. The state has also sought to crack down on the social media content its citizens post, in recent years moving to categorize posts deemed dangerous to the Saudi state as terrorism, even encouraging its citizens to tattle on one another's posts, Sputnik reported. Two recent victims of this have been Shiite human rights activist Israa al-Ghomgham, who was arrested in 2016 for social media posts critical of the Saudi government, and Salman al-Odah, a popular Sunni cleric who publicly criticized the Saudi government's cutting of ties with Qatar last year in a social media post, Sputnik reported. Saudi prosecutors have sought the death penalty for both prisoners.